Intensely moisturizing night cream combats dryness and nourishes skin back to optimum health. High performance ingredients work synergistically to nourish and repair the skin’s barrier function, restoring skin firmness and visibly reducing signs of aging. Awaken to younger, hydrated, healthier looking skin. After cleansing skin, apply to desired areas (face, neck, décolleté) in the evening or as directed by your doctor. When used in conjunction with a retinoid, allow retinoid application to dry before applying cream. Purified Water, Glycerin, Butylene Glycol, Dimethicone, C12-15 Alkyl Benzoate, Hydrogenated Polyisobutene, Niacinamide, Sodium Hyaluronate, Hydrolyzed Sodium Hyaluronate, Cetearyl Alcohol, Cetearyl Glucoside, Ceramide NP, Ceramide AP, Ceramide EOP, Ceramide-2, Phytosphingosine, Cholesterol, Sodium Lauroyl Lactylate, Polyacrylamide, C13-14 Isoparaffin, Laureth-7, Tocopheryl Acetate, Camellia Sinensis (Green Tea) Polyphenols, Malus Domestica Fruit Cell Culture Extract, PEG-40 Stearate, Stearyl Alcohol, Behenyl Alcohol, Cetyl Alcohol, Tetrapeptide-21, Resveratrol, Caffeine USP, Lecithin, Glyceryl Stearate, Xanthan Gum, Carbomer, Phenoxyethanol, Sorbic Acid, Caprylyl Glycol, Potassium Hydroxide, Titanium Dioxide,Disodium EDTA. The cream is of course super. The only downside is the price. I purchased this a few weeks ago primarily to provide firmness and moisture for my skin. It does a good job firming your skin but it is not moisturizing because its oil free. I don't know if the other version of this is more moisturizing. 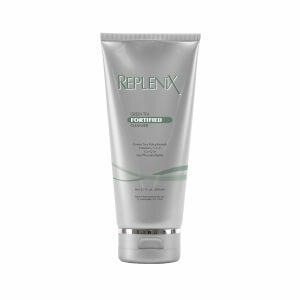 This is very effective on my neck in fact it is better than the replenix neck cream. If you have extremely dry skin this not for you. I received a sample of this and I am impressed! Made my skin feel like a gave it a drink of water. Very moisturizing! I will be getting the full size.